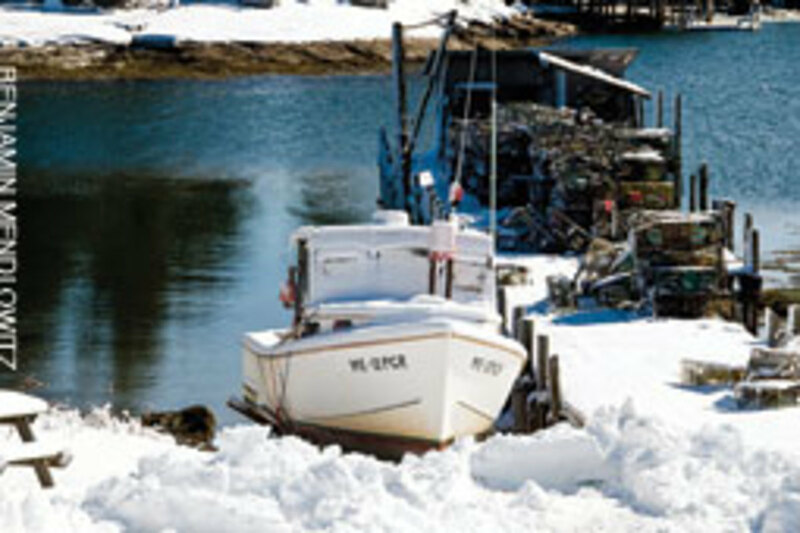 Like the forest trees that traditionally provided wood for skiffs, workboats and yachts, Maine&apos;s boat shops respond to the seasons. 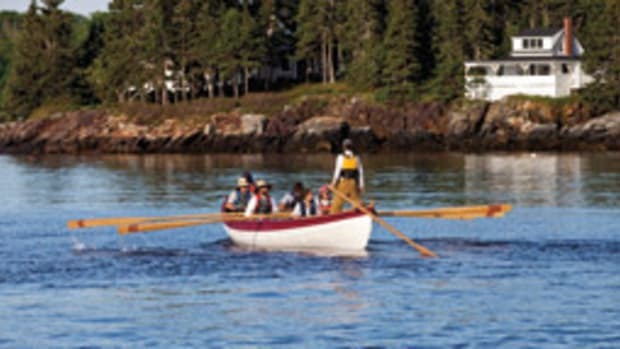 Fall is high-energy, with boats arriving daily for offseason work, restoration or regular storage and maintenance. Spring tends to be rushed, as longer-term projects compete with other jobs for launch dates. 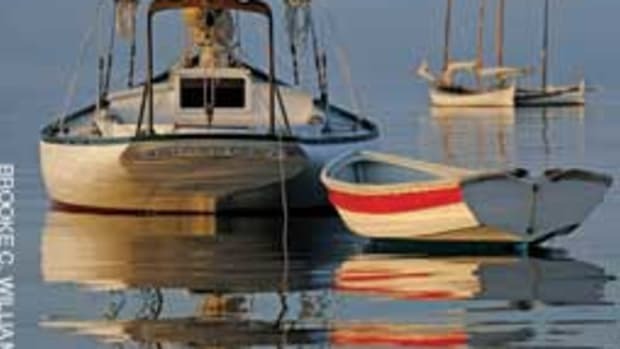 Summer can be relaxed, as the regular customers&apos; boats depart for their season of racing or cruising. Winter, in contrast, is the most focused season. It&apos;s time for the big jobs: new ribs and planking (plus an engine and interior) for a Sparkman & Stephens sloop that ground its port side to splinters and sawdust, flooding its cabins and engine, after breaking loose from a summer mooring; new decks and an interior for an 80-foot motorsailer in need of general rejuvenation after 40 years; refastening, garboards, laminated frames and other work for a 43-foot yawl. Winter is also time for new construction: replicas of wood classics from designs by B.B. Crowninshield and the Herreshoffs. Newer designs from the drawing boards of Joel White, Chuck Paine and others come to life in these shops as well. 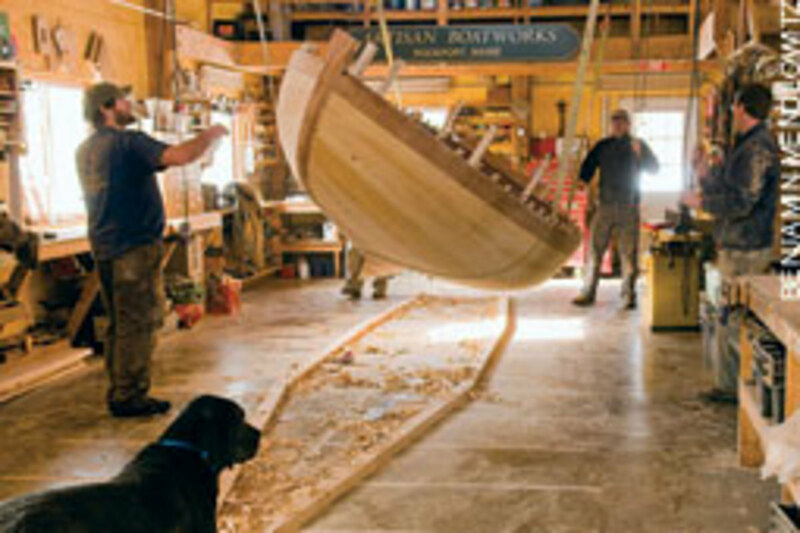 Winter in a Maine boatshop is a time of concentration and care as journeyman builders - some with more than 30 years of experience - exercise their skills in this most exacting of crafts. 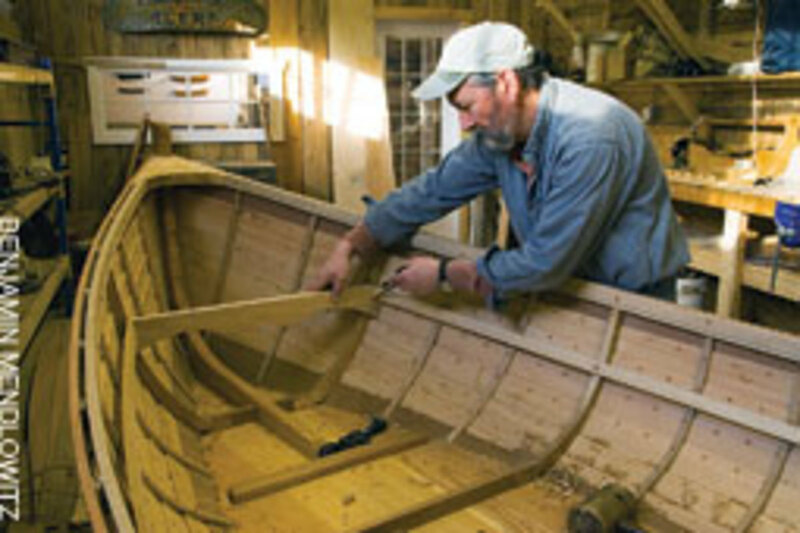 Boatbuilding isn&apos;t like constructing a house; careful measuring and the ability to make a straight cut are just as important, but so are more esoteric skills, such as beveling, steaming, cold-molding, caulking, canvasing decks, making use of appropriate fastenings or shaping spars. It&apos;s all curves and shapes, you see - a fine boatbuilder might build a handsome house, but whether the reverse is true is debatable. A furniture maker might make a handsome boat, but when you&apos;re out there in heavy weather, would you trust a builder who&apos;d only made a chair? Because so much energy goes into the boats themselves, some shops tend to be works in progress. "We&apos;re planning to put up another building," the proprietor of one establishment told us in December. So far, he and his six-man crew haven&apos;t gotten around to it. With half a dozen projects under way, they&apos;re still shoehorned into a hodgepodge of barnlike spaces, sufficiently insulated to keep them warm in winter but hardly state-of-the-art. 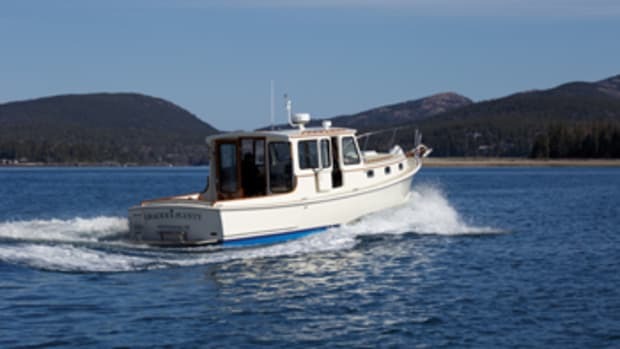 Construction staging surrounds most of the projects; boats get moved into, out of and around the shops with the combined assistance of blocks, rollers, overhead hoists and the occasional hydraulic truck or trailer. If there are themes here, they might be ingenuity and the ability to solve problems. Maine and the nation have endured tough economic times in recent years, but many of these small shops are thriving. Trickle-down economics may account for some of this apparent prosperity. 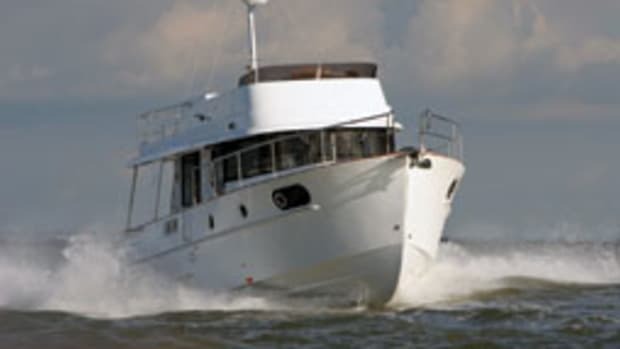 Owners willing to invest what&apos;s required to build or maintain fine wooden yachts must be well-heeled, to say the least. A recent project at one shop, for example, involved a legendary yacht, a large crew and 20 months of a yard&apos;s expensive time. 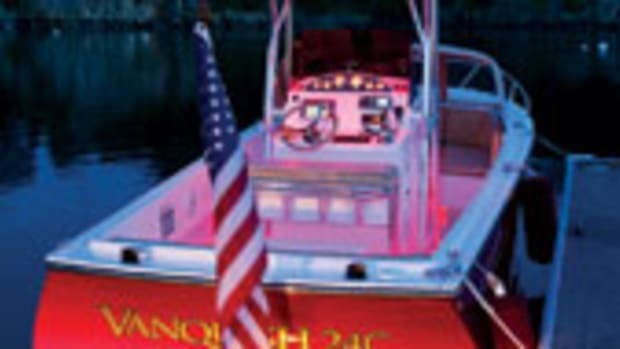 Craftsmen replaced ribs and just about everything else below the waterline in a restoration that cost more than $1 million. That&apos;s money flowing into the pockets of skilled craftsmen and the businesses that employ them. 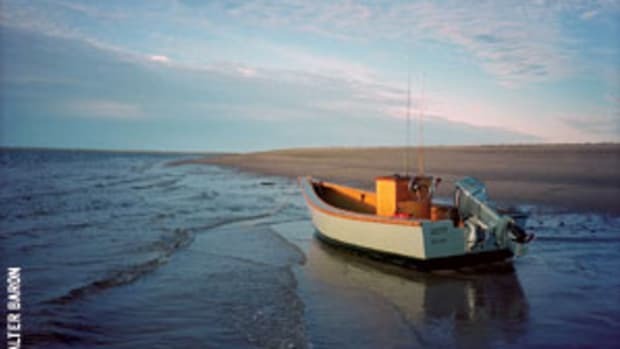 A boat shop may be neat or messy, depending on its particular culture; these places tend to be less littered than other kinds of construction sites. There are plenty of modern machines, such as table saws, band saws, routers, sanders, planers and compressors. Most shops will welcome a visitor who drops in without making prior arrangements, and everyone takes pride in their work and wants to share it. If security&apos;s a concern, it&apos;s not evident - come on in, friends, and see what we&apos;re doing! 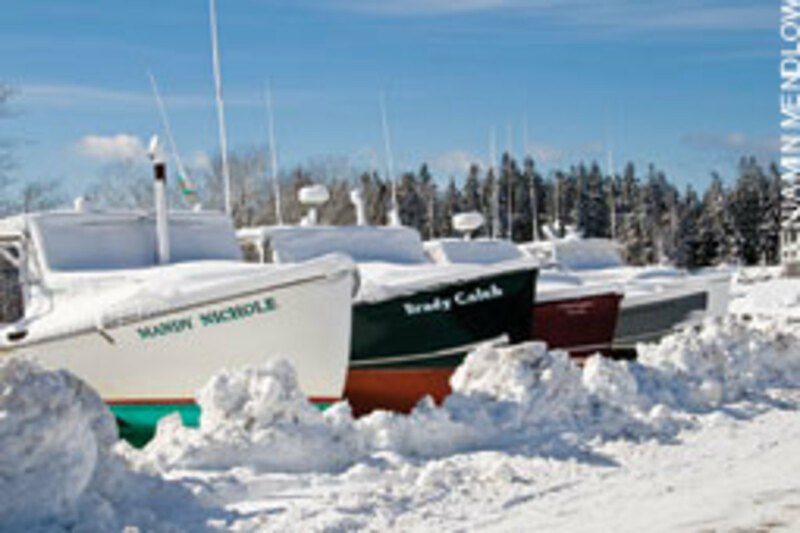 Visiting a Maine boatshop in the focused wintertime, at least, is a pleasure. And there&apos;s the music. At one place, Frank Sinatra sang out from a speaker high up in the shop. At another, the beat was country-and-western. Who chooses? "We take turns," was the response. A democratic workplace might be yet another theme. It wouldn&apos;t be right to leave the impression that these shops are relics of a bygone age. Quite the contrary. As one builder explains, "Many of the boats we&apos;re restoring were built originally to last only 30 years." 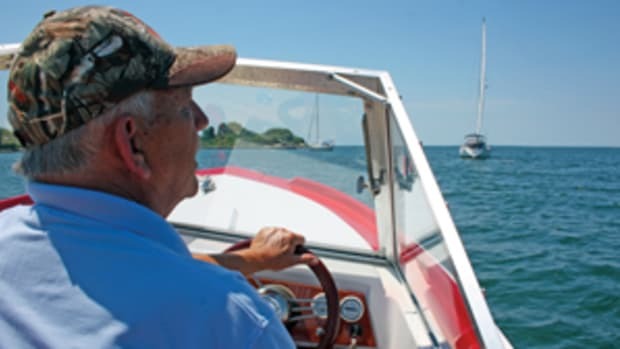 Today, he says, with modern materials such as epoxies and laminated frames, some of these classics are being rebuilt to last far longer than their intended lives. 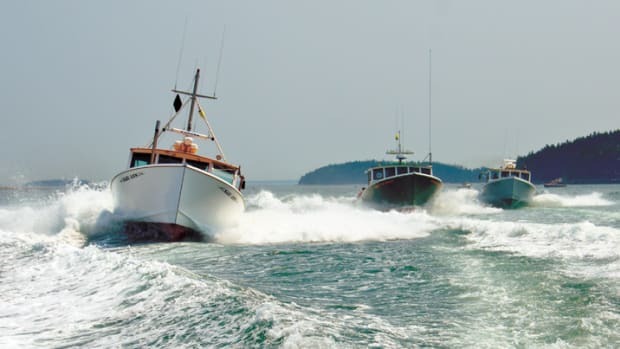 The same philosophy would apply to new construction, be it from contemporary designs or old ones: Where appropriate, the boats coming out of these shops make use of new technologies. Builders a century ago, when boat shops responded to the seasons just as they do today, did the same thing, of course. In this unique craft, it&apos;s a tradition. David D. Platt is the former editor of Working Waterfront and Island Journal.